LOS ANGELES UNIFIED SCHOOL DISTRICT, Respondent. John A. Thawley, Administrative Law Judge (ALJ), Office of Administrative Hearings Special Education Division (OAH), State of California, heard this matter on November 1, 2006, in Los Angeles, California. Petitioner’s Father represented Petitioner (Student). My Huynh, Assistant General Counsel, represented Respondent Los Angeles Unified School District (District). Victoria McKendall, District Due Process Specialist, also attended the hearing. Student’s due process hearing request was filed on August 8, 2006. A continuance was granted on September 28, 2006. Oral and documentary evidence were received. The record was closed and the matter submitted on November 1, 2006. For the 2006-2007 school year, does the District’s offer of placement in the Special Day Class (SDC) at Charnock Road Elementary School (Charnock) provide Student a free, appropriate public education (FAPE) in the least restrictive environment (LRE)? Student’s Father contends that moving Student to Charnock will cause Student to educationally regress because the elevated student-to-teacher ratio at Charnock will not provide academic benefit to Student, and because the move will be too disruptive for Student, in that Student will lose friends made in his current school. District contends that relocating Student to Charnock, his school of residence (“neighborhood” school), will provide Student with the opportunity to make friends with neighborhood peers with whom Student will attend school in the future. District contends that the offered SDC placement at Charnock, including the team-taught combined general education class and SDC, will provide adequate staff and supports to accommodate Student’s needs. District contends that this offered placement is the LRE for Student for school year 2006-2007. 1. Student was born July 7, 1998, and lives within the District’s boundaries. He is eligible for special education services due to a specific learning disability. He currently attends Overland Avenue Elementary School (Overland). Due to stay-put, he is currently in the Early Education (EE) (kindergarten through second grade) SDC as a third-grader, with general education intensive math and language arts classes. Student began attending Overland during the 2003-2004 school year, when Student was in kindergarten, because Charnock did not have an appropriate SDC at that time. 2. A school district must provide a FAPE in the LRE that is designed to meet a student’s unique needs, is reasonably calculated to provide some educational benefit and allows a student to be educated with nondisabled peers to the maximum extent appropriate. 3. The parties do not dispute that Student is well-liked and has done well over the past three school years at Overland, or that Student has unique needs in the areas of auditory and visual processing, attention (including distractability and impulsivity), and speech and language (SL), with low average skills in math and reading. Student receives SL services, as well as occupational therapy (OT). The parties disagree about the appropriate 2006-2007 school year placement to address Student’s unique needs. 4. Sharon Yendunian, a District school psychologist, conducted the triennial assessment of Student in January 2006, and noted Student’s auditory and visual processing deficits, as well as his SL and attention difficulties. However, Ms. Yendunian was always able to re-direct Student. Student was able to make transitions; he was, in Ms.Yendunian’s estimation, “so social” that going to a new school would not be a problem for him. His overall adaptive skills score on the Behavior Assessment System for Children was within normal range. As to transitions, Ms. Yendunian observed that it is important for children to learn to adapt to new situations, because adults have to do so. 5. Terry Herban, Student’s special education teacher, noted that Student’s easy distractibility has lessened in the three years that she has worked with Student, because he matured and learned techniques to manage it. Student’s distractibility is more an issue when there is activity around him, and he likes to talk, so he has to be seated in a classroom location that minimizes those issues. It can be difficult to understand Student when he speaks. However, his speech has improved, and Ms. Herban can usually understand Student when he speaks more slowly. Ms. Herban did not have concerns, beyond what she would have for any other student, about Student having problems adjusting to any new classroom. 6. Mona Huizar was Student’s second grade general education intensive math teacher. Student was respectful, enthusiastic, likeable, and often raised his hand; his only behavioral problem was that he was sometimes playful. Ms. Huizar’s frequent reminders to Student to pay more attention were effective. Student seemed at ease with other students, and did not seem to have any social problems. 7. In summary, Student has unique needs in the areas of auditory and visual processing, attention (including distractibility and impulsivity), and SL, with low average skills in math and reading. Student receives SL and OT services. Student, a well-liked and enthusiastic pupil, does not have unique needs in the areas of transitions or social skills. 8. At the triennial individualized education plan (IEP) team meeting on February 3, 2006, the team discussed Student’s assessments, and the appropriate special education placement for Student. The IEP team had previously increased the amount of time Student spent in a general education setting to see whether Student could handle more time in the general education setting. Given Student’s progress, there was some discussion about Student going to Charnock, but no one on the IEP team wanted to disrupt Student’s school year. The IEP team decided to allow Student to remain at Overland for the remainder of the 2005-2006 school year. 9. At the annual IEP team meeting on June 12, 2006, the team discussed Student’s transition out of the EE SDC, because Student would be in third grade for the 2006-2007 school year. The team discussed Student’s unique needs, and the services Student required. The team decided that a SDC placement was appropriate because, while Student was making progress, he was not yet meeting the benchmark standards in language arts and math. As a result, he was not yet ready for a less restrictive setting such as the Resource Specialist Program (RSP). The team considered Student’s ability to adjust, as well as his attention issues (including distractibility), as part of the SDC versus RSP discussion. The team considered Student’s SL needs only to the extent that Student remained eligible for SL services, so he would receive those services wherever he was placed. Then the team discussed the location of the placement. Katherine Choe, the assistant principal at Overland, established that one of the team’s important considerations in recommending placement at Charnock was the opportunity it would provide Student to develop friendships with peers in his neighborhood, with whom he would be attending school in the future. Ms. Yendunian corroborated this point. 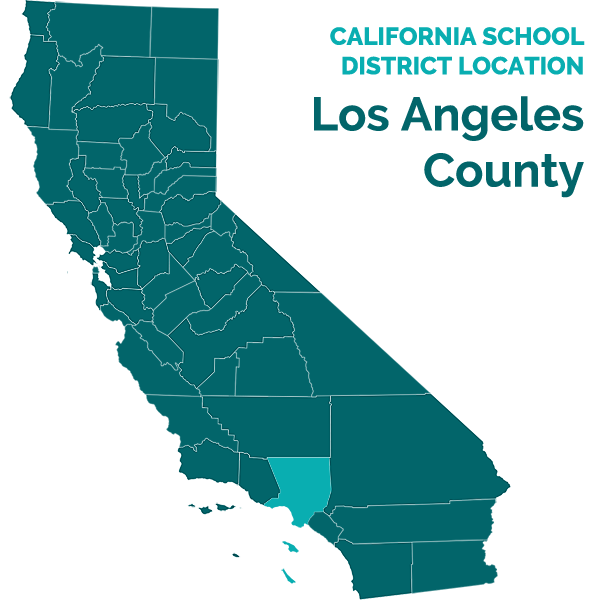 The concensus, achieved at least in part because neither Ms. Herban nor Ms. Huizar voiced any objection, was that Student should attend a SDC at Charnock. 10. Ms. Jermain England is the Charnock assistant principal and elementary instructional specialist for special education, English language learners, and at-risk students. Charnock uses a team-teaching approach, which combines a class of special education students with a general education class. The amount of time spent in the combined class depends on the material being presented. For example, science takes longer to teach, particularly when new concepts are being introduced. Charnock also has a full-time literacy coach, and a half-time math coach, both of whom assist the team-teaching classes. The teachers and the coaches work together, engage in pre-class planning, and use the reward system. To assist the team-teaching structure, the special education teachers provide instruction in their small-class settings, including pre-teaching some concepts and the advance review of literature. Charnock also has an after-school and summertime Extended Learning Program (ELP). The staff review student data (report cards, attendance, referrals, and test scores) and collaborate with teachers to select students for the ELP, who are entered into a database, so that their assessments and test scores can be monitored by Ms. England, and by the grade-level teachers, who are trained in intervention. Charnock also has a Success Team and a Language Team. 11. The Charnock SDC in which Student would be placed has nine students, one aide, and one teacher. The teacher is fully credentialed, has at least five years of experience teaching that class, and has the requisite skills to teach the class and to address Student’s auditory and visual processing deficits. She uses a variety of strategies and materials and knows how to adjust or modify the curriculum to help special education students meet State standards. The teacher uses a reward system that includes stickers, which can be redeemed for items in the school store. She also uses other strategies such as a study carrel, a one-toone aide, and instruction to teach students how to increase the amount of time they remain on task. On about November 3, 2006, an additional aide will begin working in the SDC; the new aide will be assigned to work with one particular student but will also assist all of the students in the class. Student’s SDC would team with a general education class of 20 students, one teacher, and one aide. Student’s proposed IEP indicates that he would spend 47 percent of his time in the SDC, and 53 percent in the team-teaching class. 12. Ms. Choe established that if Student remained at Overland he would be placed in the Specific Learning Disabled SDC class, with only two of his classmates from the 20052006 EE SDC class, one of whom is leaving at the end of December. 13. In conclusion, the Charnock SDC, with only nine other students, a skilled, experienced teacher, an aide, an effective team-teaching approach that includes coaches, and an ELP, was reasonably calculated to provide educational benefit to Student. 14. As noted in Applicable Law 5, any analysis of the LRE must consider four factors: (1) the educational benefits to the child of placement full-time in a regular class; (2) the non-academic benefits to the child of such placement; (3) the effect the disabled child will have on the teacher and children in the regular class; and (4) the costs of educating the child in a regular classroom with appropriate services, as compared to the cost of educating the child in the district’s proposed setting. 15. Student asserts that the LRE is the Overland SDC. However, the analysis of the four factors as to the two SDCs, while not involving a “regular” class, indicates that the Charnock SDC is the appropriate placement. First, both SDCs will provide educational benefits, in that both utilize a small class with a a low ratio of students to teachers and aides, and both provide general education exposure and opportunity. Second, both SDCs will provide non-educational benefits, in that Student will have the opportunity to socialize with both his special education peers, as well as his non-disabled peers. The Charnock SDC provides additional non-educational benefit to Student, in that it would provide Student an opportunity to build relationships with his neighborhood peers, with whom he will be attending class in the future. Third, both SDCs will be similarly affected by Student’s presence, in that Student’s only behavioral issue is his attention, and Student is a well-liked, enthusiastic pupil. Fourth, the cost of either of the placements is not an issue. 16. In conclusion, the Charnock SDC, which provided the additional nonacademic benefit (beyond that provided by the Overland SDC) of allowing Student an opportunity to build relationships with his neighborhood peers, constitutes the LRE. 1 All statutory references are to the Individuals with Disabilities Education Act (IDEA), Title 20 of the United State Code, unless specifically noted otherwise. 6. Title 34 Code of Federal Regulations, section 300.116(b)(3), requires school districts to provide disabled students with a placement that “[i]s as close as possible to the child’s home.” Subsection (c) of that regulation requires that a disabled child be “educated in the school that he or she would attend if nondisabled,” unless the child’s IEP requires some other arrangement. For the 2006-2007 school year, does the District’s offer of placement in the Charnock SDC provide Student with a FAPE in the LRE? 7. Based on Factual Findings 1 through 13, as well as Applicable Law 1 through 4, the District’s offer of placement in the Charnock SDC constituted a FAPE, in that it was designed to meet Student’s unique needs and was reasonably calculated to provide some educational benefit. 8. Based on Factual Findings 14-16 and Applicable Law 5, the District’s offer of placement in the Charnock SDC constituted the LRE, in that it provided the additional non-educational benefit (beyond the Overland SDC) of allowing Student the opportunity to build relationships with his neighborhood peers. 9. Based on Factual Findings 1, 9, 15, and 16, we well as Applicable Law 6, the District was required to offer Student placement in the Charnock SDC, based on the preference to place a disabled student in a school that is as close as possible to the student’s home, and in the school the disabled student would attend if s/he were not disabled. Education Code section 56507, subdivision (d), requires a decision to indicate the extent to which each party prevailed on each issue heard and decided. District prevailed on all issues in this matter.